Discussion APPLY NOW: Adidas Go-To Adapt Jacket! 20 Members Needed! APPLY NOW: Adidas Go-To Adapt Jacket! 20 Members Needed! 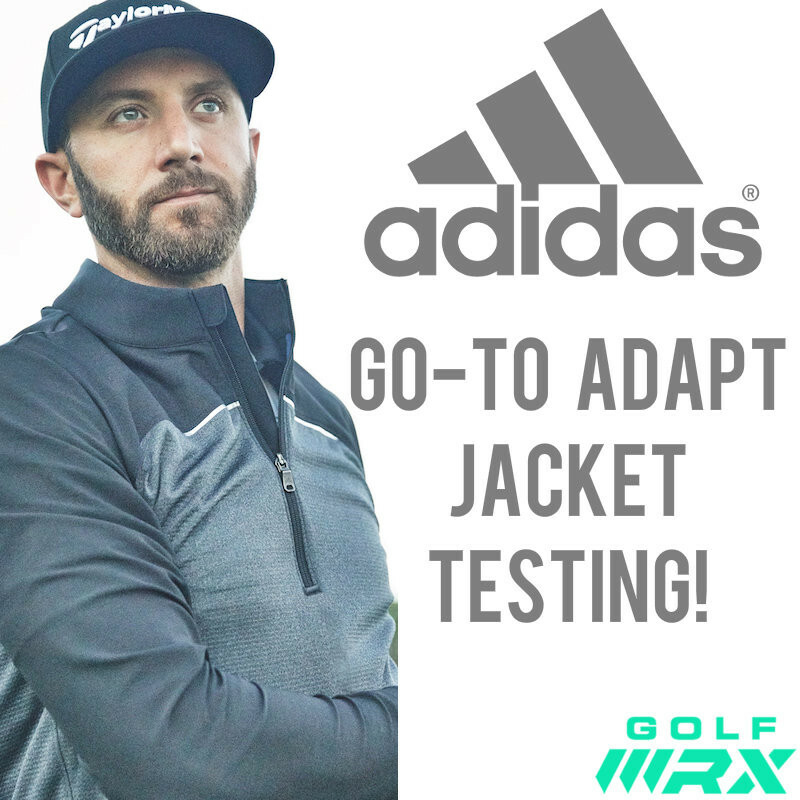 GolfWRX and adidas Golf are looking for 20 GolfWRX members to test the new adidas Go-To Adapt Jacket and participate in a Member Review Thread. Read how to apply below! Where are you located (City, State -- U.S. Only Please)? How many rounds of golf do you play monthly? What’s your golf apparel brand of choice? Why? How do you hear about new golf apparel products (Tour players, social media, TV/print/digital ads, etc.)? What do you wish you could find in an outerwear piece but haven’t yet? What is the average temperature while you are golfing in your area? Have you reviewed items for GolfWRX before? If so, please explain. adidas Golf and GolfWRX will evaluate the applications and select testers after the application thread is closed. This will go quickly so apply now! What is the average temperature while you are golfing in your area? 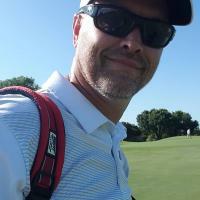 MY GROUP PLAYS GOLF YEAR ROUND, I'VE PLAYED IN TEMPERATURES FROM 25 DEGREES TO OVER 100. Have you reviewed items for GolfWRX before? If so, please explain. NOT YET. I would like to give an unbiased opinion from the amateur's point of view. Living in Pittsburgh, I play in all 4 seasons (sometimes in just 1 round). The clubs only get put away when the snow doesn't allow the grass to be seen. What’s your golf apparel brand of choice? Why? Whatever is cheap. No brand loyalty. What outerwear features do you prioritize (comfort, fit, material, price, style, etc.) Price, comfort, fit. What do you wish you could find in an outerwear piece but haven’t yet? Something that's light weight & flexible but still warm. What is the average temperature while you are golfing in your area? In the fall to winter anywhere from 40-60 degrees. Have you reviewed items for GolfWRX before? If so, please explain. Yes, multiple items. Golf shafts, balls, etc. What’s your golf apparel brand of choice? Why? Adidas. I feel their clothing is priced better than Nike and the quality is better. What do you wish you could find in an outerwear piece but haven’t yet? I love the idea that this jacket is designed for that in between zone where you find yourself putting on and taking off your jacket multiple times per round because you can't stay comfortable. What is the average temperature while you are golfing in your area? 60's-70's in late fall to early spring. Have you reviewed items for GolfWRX before? If so, please explain. Yes, I have been selected to test a couple of different balls, the 2017 TaylorMade M1, Kuro Kage Dual Core shaft, and Putt Out. If selected, do you agree to participate in an ongoing adidas Go-To Adapt review thread? Definitely! Finally, we have an essay portion of the application. Please explain why you'd like to review adidas' new Go-To Adapt Jacket. My fall/winter wardrobe in Florida basically consists of 1/4 zip jackets and shorts and that is on an off the golf course. My ideal golf weather is mid 60's to low 70's where I typically wear a light 1/4 zip and shorts especially for those early morning rounds. I like the idea of this jacket having both heating and cooling fabrics to keep you comfortable during those in between days where you find yourself putting your jacket on and taking it off multiple times per round. This sounds like the perfect jacket for me. What’s your golf apparel brand of choice? Why? I like to buy whatever is on sale. Not much brand preference. What do you wish you could find in an outerwear piece but haven’t yet? Something that keeps me warm/dry but I can actually swing in. ongoing feedback through follow-up posts. What do you wish you could find in an outerwear piece but haven’t yet? - Something where I can pull the sleeves up to my forearms and they actually stay there! Finally, we have an essay portion of the application. Please explain why you'd like to review adidas' new Go-To Adapt Jacket. 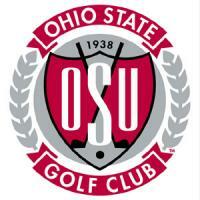 I need to find some lightweight jackets for the early morning fall rounds of golf I play here in Ohio. I hate sweaters that are thick and make it difficult to swing. If I could find something to provide some warmth without the bulk, I'm 100% in! Breathability. I get cold easily and don't like it when I have to wear many layers. I end up sweating and making things worse. Right now? 85. Middle of October? 50-60. Yes. Balls, clubs, shorts, you name it. I have provided pictures and detailed descriptions. Yup! Just like my previous threads! I'm not entering contest. I would suggest though you put a wider band at bottom of these jackets that clings better to body...I hate jackets like this that allow a draft from a loose or no bottom band. What’s your golf apparel brand of choice? Why? I don’t have a specific brand of choice, I just wear what looks good and is comfortable. Right now I’ve been big into Vineyard Vines. What outerwear features do you prioritize (comfort, fit, material, price, style, etc.)? Material, fit and comfort. What do you wish you could find in an outerwear piece but haven’t yet? Breath ability and multi usage for different temperatures. Since I like to play as late as I can into fall and winter, it’s a pain to have to have multiple different jacket weights with me. What is the average temperature while you are golfing in your area? Summer it can be mid 80s to mid to high 90s. During the spring and fall it can be anywhere from mid 70s to low 50s. Have you reviewed items for GolfWRX before? If so, please explain. I haven’t had the chance to as of yet but I definitely would love to. If selected, do you agree to participate in an ongoing adidas Go-To Adapt review thread? Of course! Will you be able to play/test the jacket before the middle of October (yes or no)? Of course. I usually play well into November at my track and I have 2 tournaments to play in at the beginning of October. Finally, we have an essay portion of the application. Please explain why you'd like to review adidas' new Go-To Adapt Jacket. —Like, I have stated throughout my answers, I would love to finally find an outwear jacket that I could wear throughout the year and especially in the fall and early spring. Since I play most of my rounds in the morning into the early afternoon I usually have to start out with a sweater or pull over on and eventually take it off when it starts to warm up. I think this jacket would be perfect for the time of day and year I play into and it sounds like it would be the only outwear I would have to bring. It also sounds and looks like I could wear it for most of the round and not have to worry about taking it off and storing it in my bag while I walk. Thanks in advance for the possible opportunity to test out and review this jacket. What’s your golf apparel brand of choice? Why? Adidas. The shoes fit me the best and the climalite shirts are perfect for the heat and humidity down here. What do you wish you could find in an outerwear piece but haven’t yet? I’ve been looking for something comfortable that doesn’t restrict my swing and cause the sweats if it isn’t too cold and keep me warm if it is 40*. I have been searching for the right jacket to golf in for the past 2-3 years. I haven’t found anything that stays on more than a few holes. Most of the time in the fall and winter, I just wear pants and bring a jacket to put on b/t shots. I’ve been a big Adidas fan and costumer over the past 5 years and to have a chance at reviewing one of their new products would be great! Thank you for the opportunity! Finally, we have an essay portion of the application. Please explain why you'd like to review adidas' new Go-To Adapt Jacket. Just really like Adidas products, always excited to try new gear, and currently in the market for fall/winter outwear. It's a no-brainer! What do you wish you could find in an outerwear piece but haven’t yet? Still looking for that pullover that has enough movement that it doesn't feel like I'm wearing a jacket, but still has an athletic fit/style. Finally, we have an essay portion of the application. Please explain why you'd like to review adidas' new Go-To Adapt Jacket. I'm very particular about the outerwear that I wear mainly due to fit. Before I tried Puma, I've been using some nike pullovers that I've had for 5+ years as I loved the fit and couldn't find something that could replace them. I would be able to provide an unbiased opinion and honest feedback on the jacket. Where are you located (City, State -- U.S. Only Please)? Dallas, TX. What’s your golf apparel brand of choice? Why? I have no brand of choice. What outerwear features do you prioritize (comfort, fit, material, price, style, etc.) all of the above. Looks are most important for me though. What do you wish you could find in an outerwear piece but haven’t yet? Something light yet warm. What is the average temperature while you are golfing in your area? It's Texas. We get all 4 seasons in one week sometimes. Will you be able to play/test the jacket before the middle of October (yes or no)? Yes. I'd like to give an honest, fair review of your product because I need another outerwear garment for golf and fall is my favorite time of year to play and it will get used. What’s your golf apparel brand of choice? Why? Currently, my wardrobe consists of 4 pairs of Tour 360 Boost shoes, Adidas Ultimate 365 for pants and shorts, and Nike or Under Armour for tops. I love the comfort of the Adidas 365 bottoms, but the tops have always felt a little blousy to me at the waist. Nike and U/A seem to fit a little better at the moment. What do you wish you could find in an outerwear piece but haven’t yet? Something that is light and stretchy, but still warm and water repellent. Outwear that feels like you aren’t even wearing it. What is the average temperature while you are golfing in your area? Summer in Ohio is 80-90, Fall is 50-65, Winter if no snow on the ground, I will play in temps around 40. Have you reviewed items for GolfWRX before? If so, please explain. No, I have not been selected before. 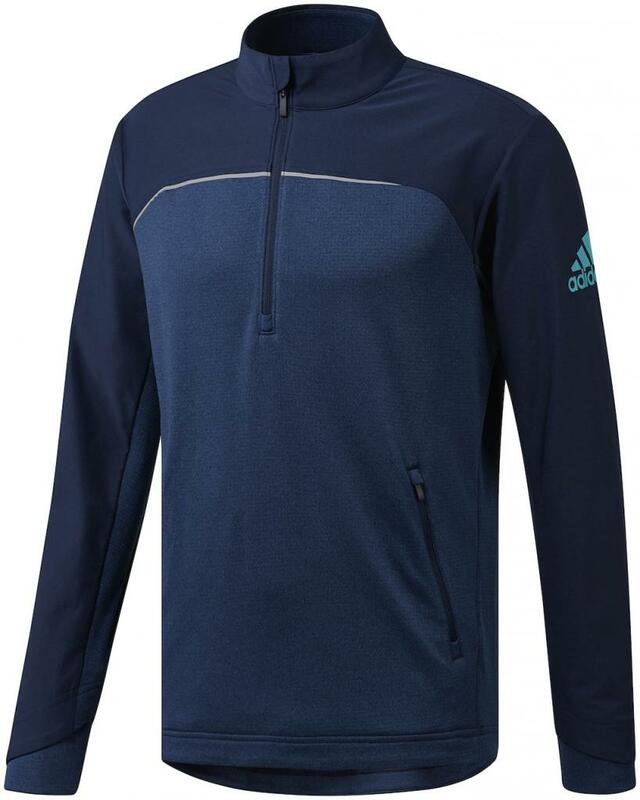 I would love the opportunity to test out the Go-To Adapt Jacket from Adidas primarily because this is a piece of outwear that is a must for playing golf late into the season in Ohio. In the past, I haven’t really given Adidas outwear much of a look, because I found that the shirts just seemed to fit a little too wide in the waist area. I am usually between an XL and XXL in most brands so finding something that is both comfortable and functional is a challenge. I love Adidas shoes and bottoms, so much so that they are the exclusive brand I wear on the course, and I would love the chance to give their new outerwear a shot to overtake Nike and UA in my closet. - What’s your golf apparel brand of choice? Why? Nike and Puma because they have a clearance factory stores nearby. - How do you hear about new golf apparel products (Tour players, social media, TV/print/digital ads, etc.)? I see what is being worn on tour. - What do you wish you could find in an outerwear piece but haven’t yet? Feeling less restrictive is my swing. I usually buy more form fitting, tighter clothes and less restrictive offerings are few and far between. 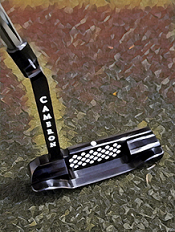 - Have you reviewed items for GolfWRX before? If so, please explain. Unfortunately no. - Finally, we have an essay portion of the application. Please explain why you'd like to review adidas' new Go-To Adapt Jacket. I would like to try different offerings from other manufacturers outside of my typical Nike and Puma attire. I usually buy outerwear solely on price and fit and it would be good to try Adidas’ new line. I don’t consider myself a fashionable guy, but my wife wants me to have more style and I think this jacket may help. 60-80* in summer, 30-60* in shoulder seasons. 7k ft of elevation, so weather is constantly changing. I agree to participate in the thread. I play 2-3 times a week and I will put it in service immediately. 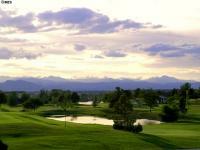 I try to golf year around in the northern part of New Mexico and as such, I see weather that ranges from 90* in the summer, to 30's in the winter/fall months. Weather changes quickly here, and a thinnish, weather resistant layer is mandatory to have in the bag at all times. ◾What outerwear features do you prioritize (comfort, fit, material, price, style, etc.) Comfort, Price, and fit. I believe material would fall under comfort. ◦ongoing feedback through follow-up posts. ◾Finally, we have an essay portion of the application. Please explain why you'd like to review adidas' new Go-To Adapt Jacket. The description of the Go-To adapt Jacket sounds like something I would want to try. As stated earlier I feel like most outerwear is too hot for me. Id rather be in my polo than sometype of outerwear when it's "cold". In Norcal Bay Area 60-65* is cold. I usually start the round in the winter/fall season with some type of windbreaker or light sweater on then it usually comes off by the 5th hole because I am just not comfortable with the temperature. The Go To sounds like it might worth testing. I play 8-12 rounds per month. I don't really have a brand of choice. I'm tall with long arms, so I wear whatever fits. I wear Under Armour pants (because they make longer inseams). I wear Adidas Ultimate shorts (because I like the stretch). 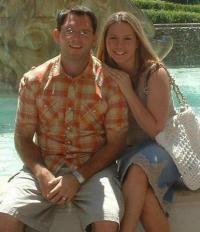 I wear polos from Adidas, Peter Millar and Johnnie O (in every case because I like the color and the way they fit). I have outerwear from Adidas, Footjoy, Zero Restriction, Peter Millar and Ashworth (again, because I like the way each piece fits). I find that fit and sizing aren't necessarily consistent for any brand, so I buy from our pro shop on a piece by piece basis. Our pro shop does a good job of keeping new products from major brands (and boutique brands) in stock. I also watch a lot of golf channel and see things on twitter and instagram. As far as outerwear features, fit and comfort are the number one considerations. Then style and price. Material isn't really a consideration other than as it affects fit and comfort. I live in Colorado, so in early and late season we have cooler mornings and can heat up significantly during the day. We can have 30 degree temperature swings in two hours. As a result, I find myself wearing (and carrying) many different layers and types of outerwear. I wish I could find a jacket that would keep me warm in those early mornings, would breath enough that I didn't get too hot while walking, and would move with me well enough that it doesn't impact my swing. In Colorado, we play anytime there isn't snow on the ground. So the temps can range from the 40s clear up to nearly 100 degrees. In the spring and fall seasons, the average temps are between 60 and 75 degrees. I have reviewed items for GolfWRX before. I participated in the SLDR experience several years ago (where we traveled to the Kingdom in Carlsbad and hit our gamer driver against the SLDR. I also reviewed the Ben Hogan hybrids (again, a few years ago). In both cases, we wrote lengthy recaps and reviews (with pictures). The SLDR review is here: http://www.golfwrx.c...lenge__st__870. I can't seem to find the Hogan review thread via search. I do agree to participate in an ongoing review thread with pictures and follow up posts. I'd like to test the jacket because I play the majority of my golf in Colorado. We have a phrase here, "if you don't like the weather, wait five minutes--it will change." During spring and fall I have no fewer that four different pieces of outerwear in my bag for every round. The hardest temperature range is from about 50 to 65 degrees because it's cool enough to wear a jacket when you're standing, but when you start walking (and I almost always walk and play a hilly course), then the jacket that feels comfortable standing makes you sweat. So you're taking the jacket off and putting it back on multiple times per round. If I could find one jacket that I could keep on in that temperature range, it would earn a permanent place in my bag (and would allow me to carry one jacket in place of the thin Peter Millar pullover and slightly thicker wool sweater I alternative between on those days). Finally, we have an essay portion of the application. Please explain why you'd like to review adidas' new Go-To Adapt Jacket. I've always had a hard time finding a warm jacket to wear while golfing. Most are too thick and then I can't swing. Or, they fit better but aren't very warm. When I'm playing in cooler weather, it seems like the jacket goes on/off the entire round. I'd love to find a jacket that I can finally swing in, but keeps me at a comfortable temperature all round. Have you reviewed items for GolfWRX before? If so, please explain. I did give reviews on some items(golf shafts & misig) I have won, but, I feel am better able to review apparel versus golf equipment. Finally, we have an essay portion of the application. Please explain why you'd like to review adidas' new Go-To Adapt Jacket. - I am always looking for something to keep myself comfortable, while playing golf in cooler weather. It has to offer some warmth for when we start out in the morning, but, also, doesn't cause me to overheat as I am playing/walking. The Go-To Adapt sounds like that piece. It should be noted, that, I am likely to try this jacket as a middle layer underneath a rain jacket, or, wind shirt, as, well as a stand alone layer. I have Climacool, Climawarm and Climaheat products, so, it will be interesting to see where the Go-To Adapt fits into that range. What’s your golf apparel brand of choice? Why? Nike usually, due to deals found on shoes/shirts at stores like Burlington and online retailers. What do you wish you could find in an outerwear piece but haven’t yet? The combination of right weight fabric (warm enough) and comfort. This time of the year brings cold mornings in upstate NY, and as someone who prefers playing in the morning over any other time of day I frequently find myself deciding not if I need a jacket or pullover, but how thick and how many. I am always the first to switch to pants from shorts, and packing pullovers "just-in-case" because I'd rather be too warm than cold. Despite this being my tendency, I find myself looking for a good go-to jacket to cement itself in the favorite position. I don't have many Adidas items, but am keen on trying brands and providing unbiased opinions and if given the opportunity to review this jacket I will likely have the opportunity to play in it 5-10 times before the middle of October. 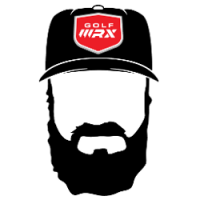 Thanks for the opportunity, GolfWRX and Adidas, and I hope to be selected. What’s your golf apparel brand of choice? Why? Adidas and UA. Plentiful, stylish, and good deals to be found. Adidas shoes fit me best as well. What is the average temperature while you are golfing in your area? 80s in the summer, 45-60 in the spring and fall. ongoing feedback through follow-up posts. Of course. 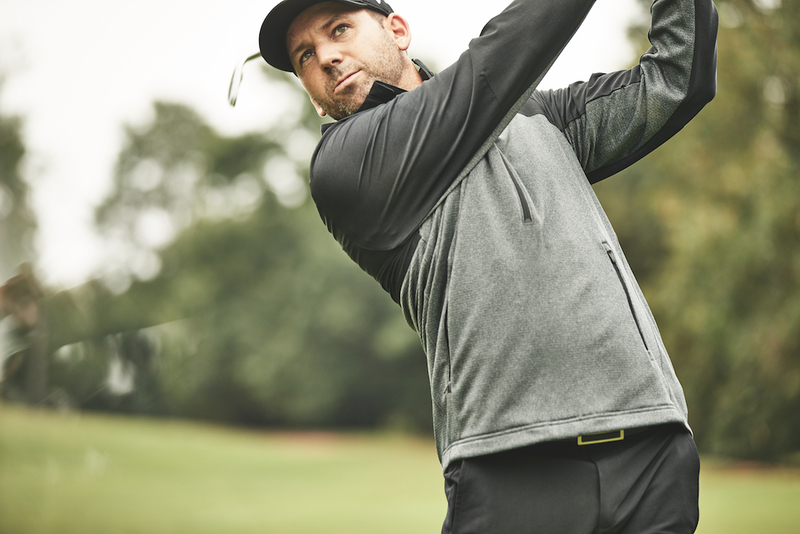 ​I'd love to find a jacket or outer layer that can keep me warm on those chilly fall and spring days, but won't restrict my ability to swing a club. I've tried various jackets, fleece's, other layers to keep warm, but always find myself either restricted or having trouble regulating temperature. Sometimes too hot, sometimes too cold. It gets frustrating and will sometimes discourage me from playing on those colder days. What’s your golf apparel brand of choice? Why? I'm usually all over the place as I have a hard time finding clothes that fit me well. Right now I'm mostly Nike with some Uniqlo thrown in. What is the average temperature while you are golfing in your area? The Bay Area, California is truly a collection of micro climates with courses all over the place but it's still pretty mild compared to other parts of the country that actually have 4 seasons. In my part of the Bay it's usually in the 80's-90's in the summer. During winter, i'll play in temperatures as low as 40's-50's without a problem as long as I have the correct gear on. Have you reviewed items for GolfWRX before? If so, please explain. Yes, I had the chance to review a SCOR golf wedge years ago. Finally, we have an essay portion of the application. Please explain why you'd like to review adidas' new Go-To Adapt Jacket. I may not be the best golfer but I do have an eye for style trends due to my wife's fashion influences. Gone are the days of me wearing cargo shorts, pleated slacks, and cotton polo shirts on course. I like clothes that fit well while allowing the movement necessary to make a good swing. Yet for all my years, I've never found a golf specific jacket or pull over that fit me well enough where I didn't want to jettison it as soon as the sun started to warm things up a bit. I would love to be able to review the Go-To Adapt jacket and to share it with all my fellow golfwrxers. Thank you for the opportunity! Anywhere from 10-20, depends on the week. What's your golf apparel brand of choice? Why? I prefer Adidas shirts and Nike pants, they're the most comfortable and stylish for my tastes. Tour players and social media. Style, then fit, then comfort. What do you wish you could find in an outerwear piece but haven't yet? Fit that still has comfort. It's hard for me to get that good combination. Spring, 40-60's. Summer 80-90's, fall 50's, winter anything goes. I have not, but I did have a review company for Brazilian jiu jitsu items. Of course and I look forward to it. Will you be able to play/test the jacket before the middle of October (yes or no)? I like to review items, it's something I've done in Jiu Jitsu since 2012 so I have a good, unbiased review style and know what to look for in items in terms of quality of material and durability, and I know how to take good product photos. What do you wish you could find in an outerwear piece but haven’t yet? Basically, adjustable clothing which isn't obvious and more natural looking in terms of fashion not just black, ala a rain jacket that can be modified to a vest, etc.. Finally, we have an essay portion of the application. Please explain why you'd like to review adidas' new Go-To Adapt Jacket. Quite simply, when able to wear pants on the course a jacket which is actually wearable in the heat of Florida and still look fashionable is hard if not impossible to come by. My hobbies being soccer & golf when it comes to athletic apparel my go to overlayer has always been some form of Adidas pullover. However, I do not have one I currently own or have used while golfing other than an Adidas weather gear vest which came out 5 years ago. I would be interested to see how this would fit into my golf attire and rotation. What’s your golf apparel brand of choice? Why? Whatever I happen upon in the store that meets my budget and is functional. How do you hear about new golf apparel products (Tour players, social media, TV/print/digital ads, etc. 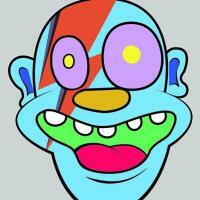 )?Mostly, I find out about new apparel products online. Twitter and this site tend to be my two biggest sources. What outerwear features do you prioritize (comfort, fit, material, price, style, etc.) Function (i.e., am I looking for something waterproof, something warm, something for hot days, etc.) and then cost. I'm on a budget so spending $250 on jackets or shoes is tough for me. What do you wish you could find in an outerwear piece but haven’t yet? I'd like something that's both thick enough for cool days (say a day that's 40 where you wear a long shirt underneath, or perhaps a day that's 55 to 60 where you'r simply wearing a regular golf shirt underneath) but can also allow good swing motion. 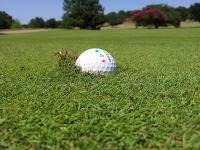 What is the average temperature while you are golfing in your area? Summer is 90 and up. Spring and fall can be 50-70 with cooler mornings warming up around midday. I also get out a good bit during the dead of winter here as well. Have you reviewed items for GolfWRX before? If so, please explain. I never have. Will you be able to play/test the jacket before the middle of October (yes or no)? Yes I will be able to. 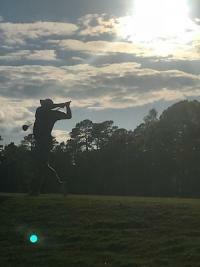 I have several upcoming tournaments the end of September and into October, including some CGA events in the NC Mountains in October, a perfect time for testing. Finding a good jacket is a tall order. A jacket needs to be tight enough to be form fitting and stay out of the way, yet have enough "give" so that you can still make a full turn. It needs to have enough padding to keep you warm, but not so much to where it inhibits the swing. Creating a jacket that strikes that perfect balance is an art. I've struggled to find one over the years that does both. 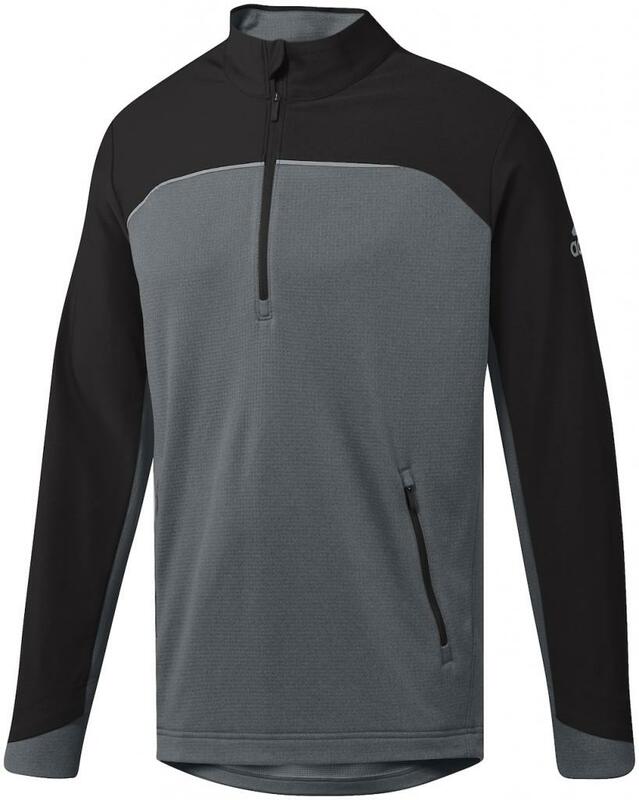 To me, a perfect jacket should keep you warm with nothing but a golf shirt on a 55-60 degree fall day, and should keep you warm with a long-sleeved base layer on a cold day. I also wear a lot of my golf apparel to work. I dress professionally, but don't always need to wear a suit or shirt and tie. I frequently wear nice trousers coupled with a golf shirt. I'd like a jacket that looks nice enough to wear on cooler days in the spring/fall. It's great when I can find clothes that I can use for a dual purpose. What’s your golf apparel brand of choice? Why? Adidas, I posted a few days ago about this in the golf style forum. Quite simply, the fit suits me well, not to baggy nor too small, I am a fan of ClimaCool during our hot summers, and the style is fashion forward without looking like a circus clown. How do you hear about new golf apparel products? Instagram, Twitter, GolfWRX style forum. What outerwear features do you prioritize? I do take price into consideration, but comfort and fit are paramount. What do you wish you could find in an outerwear piece but haven’t yet? I would like something that keeps me warm on a cool day that does not get hot. Most pieces I have tried in the past are either not warm enough or I start sweating while wearing it. In this case I find myself taking the jacket on and off several times throughout my round. 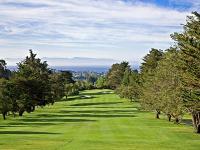 What is the average temperature while you are golfing in your area? In the winter the highs are in the mid 50's and lows are in the upper 30's. Have you reviewed items for GolfWRX before? If so, please explain. Yes, I was lucky enough to me selected for the very first run of the Tour 360 Boost panel. If selected, do you agree to participate in an ongoing adidas Go-To Adapt review thread? Absolutely. I would like to review this piece because golf is year-round where I live. We do deal with the occasional frost delay so proper clothing can be the difference between comfort and misery. I have gone through many outerwear items that have either not fit well or do not last through several washings, shrinking, etc. When I do find something that checks as many boxes as possible I tend to hang onto it for quite a long period of time. What outerwear features do you prioritize (comfort, fit, material, price, style, etc.) fit, comfort, then price and style. On jackets, really like a cover for the zipper like this one so it doesn't drive me crazy rubbing against my neck. What do you wish you could find in an outerwear piece but haven’t yet? Well I've spent a lot of clothes so I've honestly found some BUT am always looking and open to new styles and designs! What is the average temperature while you are golfing in your area? Right now it's 60s but soon it'll be 50's, then 40's by mid to late October. Have you reviewed items for GolfWRX before? If so, please explain. Yes, I was gifted a nice Craftsman headcover to which I posted a picture and comments and still use. Finally, we have an essay portion of the application. Please explain why you'd like to review adidas' new Go-To Adapt Jacket. Well it looks like a great jacket. My first thoughts are it looks fit but allows move ability for swinging. The sleeves are unique in their design and pretty cool looking. I love the fact that it goes a little lower in the lower back than the stomach, to avoid bulking up when bending over to putt. The jacket also looks to be fairly thick, which has me really excited because than I can wear it well into the late fall and off and on in the winter when it's above 30*. Very cool jacket, would be thrilled to get the chance to review it! Thanks. What’s your golf apparel brand of choice? Why? Adidas, they make the best feeling and fitted clothing for my body type. Shirts pants and shorts fit well and play well. Plus look good in the office. What outerwear features do you prioritize (comfort, fit, material, price, style, etc.) Fit, comfort, material, Style then price is last. What do you wish you could find in an outerwear piece but haven’t yet? I am looking for outer wear for cold days to keep me warm with out bulking me up, in spring i am look for the same but keeps me cool. What is the average temperature while you are golfing in your area? October will be 60's and 50's during day and go into the 40's and 30's overnight. So morning rounds will be chilly,. Have you reviewed items for GolfWRX before? If so, please explain. Yes i have, did the Wedge shafts from Nippon and Tour360's last fall from Adidas, that was my favorite to, since it was equipment i love and shoes i love. Will you be able to play/test the jacket before the middle of October (yes or no)? Yes! Finally, we have an essay portion of the application. Please explain why you'd like to review adidas' new Go-To Adapt Jacket. Besides the Jacket looking great, i have had multiple generations of Adidas jacket, Clima-Warm to Clima-Heat to clima-Cool. I am always looking for a jacket that will perform with me and keep me going on the course not matter the conditions. If i found one i like i will tell everyone and recommend it. I feel each jacket Adidas makes gets better and better so i am looking forward to a chance to try it and write about it. This kind of thing is in my wheel house. What’s your golf apparel brand of choice? Adidas golf shoes because boost is incredible. Old Navy pants because they're cheap, and FJ shirts because the fit is best for me. How do you hear about new golf apparel products (Tour players, social media, TV/print/digital ads, etc.)? Either scripting for majors or GOLFWRX. What outerwear features do you prioritize (comfort, fit, material, price, style, etc.) Fit. Can't swing in a bad fitting outer layer. Next would be material. We don't need a super thick jacket in Texas most of the year. What do you wish you could find in an outerwear piece but haven’t yet? One that fits well. Hard to find one that fits my long arms without swallowing my torso. Or it fits my torso and it too tight on my arms. What is the average temperature while you are golfing in your are? Anywhere form 50's in winter to 100's in summer. Have you reviewed items for GolfWRX before? If so, please explain. Yes. I reviewed some Golf Pride Tour Velvet Align grips and the SLDR driver. Finally, we have an essay portion of the application. Please explain why you'd like to review adidas' new Go-To Adapt Jacket. My go to outerwear for the last 4 years has been a Texas A&M Adidas 1/4 zip jacket that fits extremely well, stretches where it needs to stretch, and breaths extremely well. Well that sucker is about tattered and ripping all over the place, so I've been searching for a new jacket for winter golf this year. I'm looking for something that can keep me warm in the 50's and not make me sweat like crazy in the 60's-70's. Love the Adidas look, and have had good luck with my A&M jacket so looking forward to the opportunity!